Asus ZenFone V Live Price, Review, Deals, Cost, & Sales! Home / Compare Cell Phones / Asus ZenFone V Live Price, Review, Deals, Cost, & Sales! The Asus ZenFone V Live is a phone designed for live streaming with built-in features to make the experience more fun for the users. It comes with a 5" IPS LCD screen with 720 x 1280 resolution and a pixel density of 294 PPI. While the Asus ZenFone V has a 5.2" AMOLED 16M color screen with 1080 x 1920 resolution and a pixel density of 424. The ZenFone V Live is equipped with a 13 MP F2.0 aperture rear camera capable of recording 1920 x 1080 videos. It also has a 5 MP wide-angle front camera with flash and HDR mode suited for live streaming. This phone comes with a 16 GB onboard drive with support for up to 126 GB expansion via microSD. The ZenFone V, on the other hand, has the 32 GB with support for up to 512 GB via microSD. It is equipped with a single downward-firing speaker. Audio quality is ok but is not very loud with some distortions at higher levels. The ZenFone V Live has a front-mounted fingerprint scanner that doubles as the home button. It does a decent job but there are faster ones out there. This device runs on Qualcomm Snapdragon 425 8917 with four cores clocked at 1400 MHz. Performance is good but is not designed for heavy use as it will slow down. The ZenFone V has the Qualcomm MSM8996 Snapdragon 820 with four cores. Powering the device is a huge 3000 mAh battery, but it does a poor job of managing its resources. It can keep conversations going for 17 hours and has standby time of up to 15 days. However, it does not support wireless charging or fast charging. Has a BeautyLive feature that edits facial features making it smoother and blemish free when live streaming. 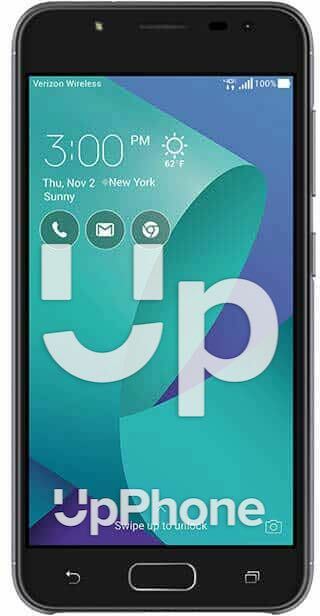 The V in ZenFone V Live stands for Verizon as this phone is exclusive to them only. This phone is not waterproof. It does not support fast charging. This device has an HD display.